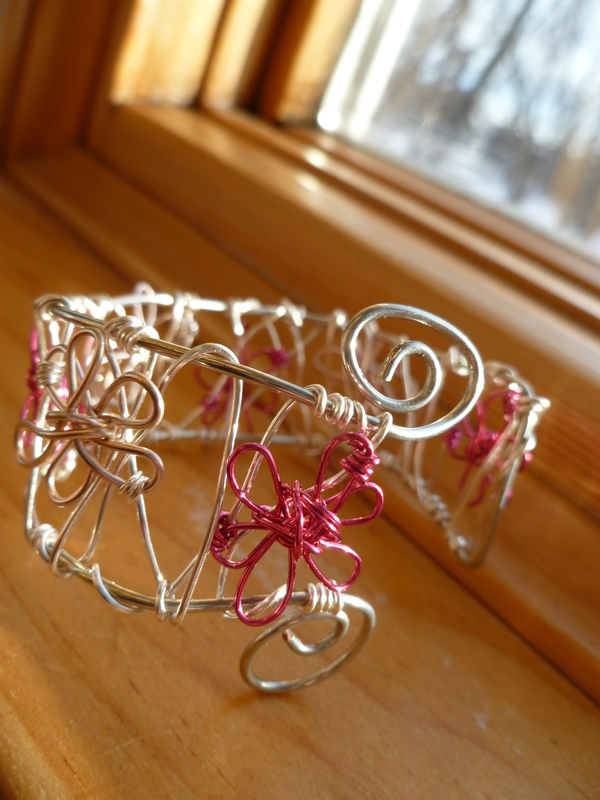 Victorian-style cuff bracelet (lobster claw clasp). The panels are metal/filigree in an antiqued brass color. 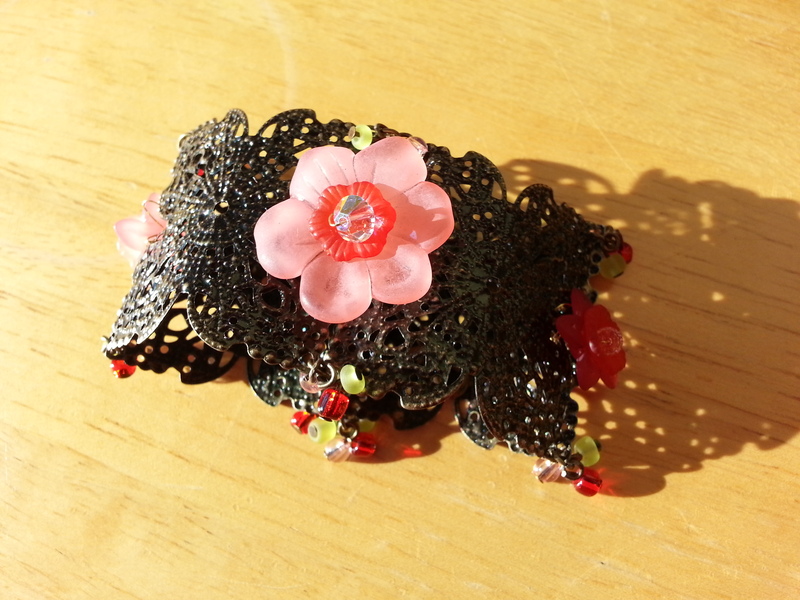 Glass seed beads and glass flowers in pinks and reds make up the adornments.